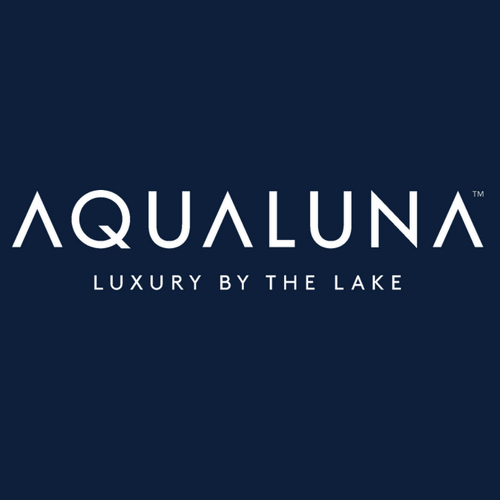 Aqualuna is a new condo development by Tridel and Hines. 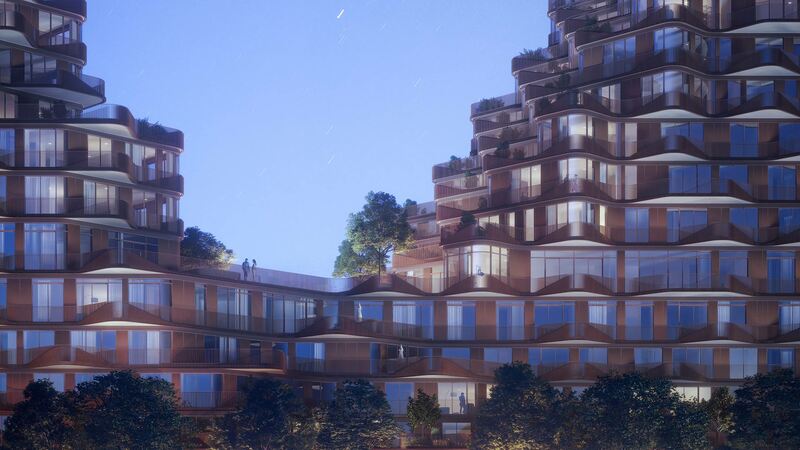 Prices are estimated to be starting at $500,000+ and will feature a total of 225 units at 16 stories. 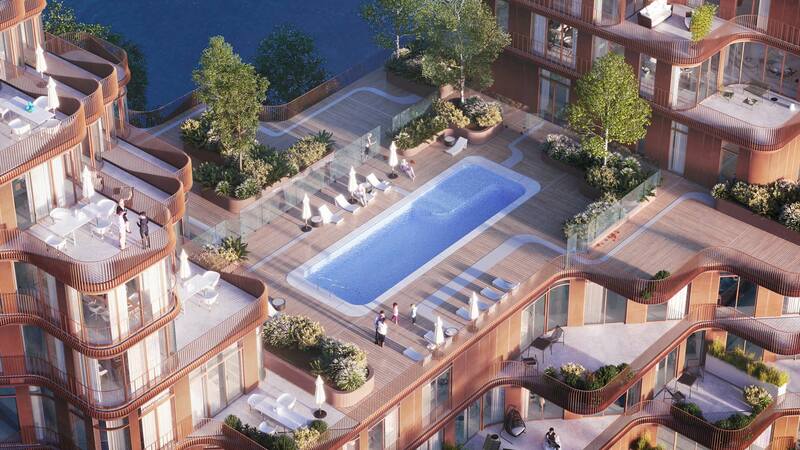 Aqualuna is estimated to be completed in 2022 and will be located at Merchants' Wharf in Toronto. Aqualuna also has nearby public parks such as Sherbourne Common and also has transportation options such as Union TTC Station. The building is shaped as a block-long slab whose middle has been carved away, with the removed mass redistributed at the ends, creating two peaks. 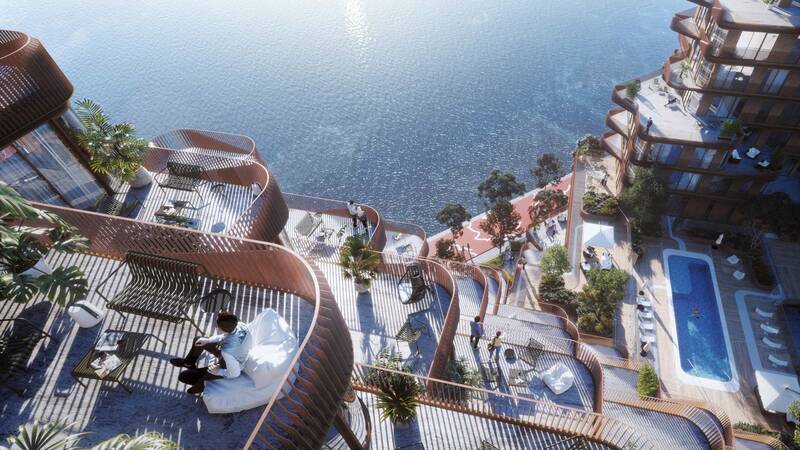 The building's exterior is then carved at 45° angles so that all suites have views toward the lake, while balconies and terraces extend the living outdoors. 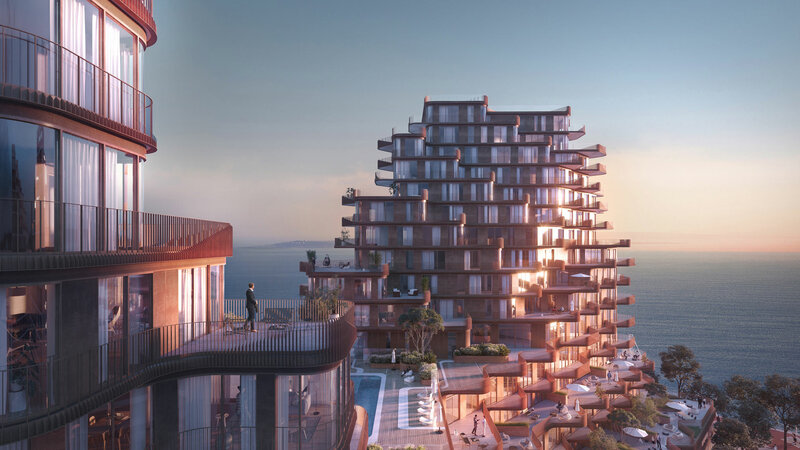 As the building steps back on higher floors toward each peak, a large percentage of the suites benefit from the steps with spacious terraces. Where the terraces of the two peaks split apart, the building's shared amenities are found, both indoor spaces such as party rooms, and an expansive deck space with outdoor swimming pool.